The Harmony is a classic oval shaped promotional drive with colored edges and a brushed aluminum surface. The rounded ends make this comfortable for your pocket and it includes a key loop and LED indicator light for user convenience. Its modern look and data storage makes it an attractive advertising tool. Potential customers will appreciate the gift of storage and are sure to keep it handy (and therefore, your business logo around). 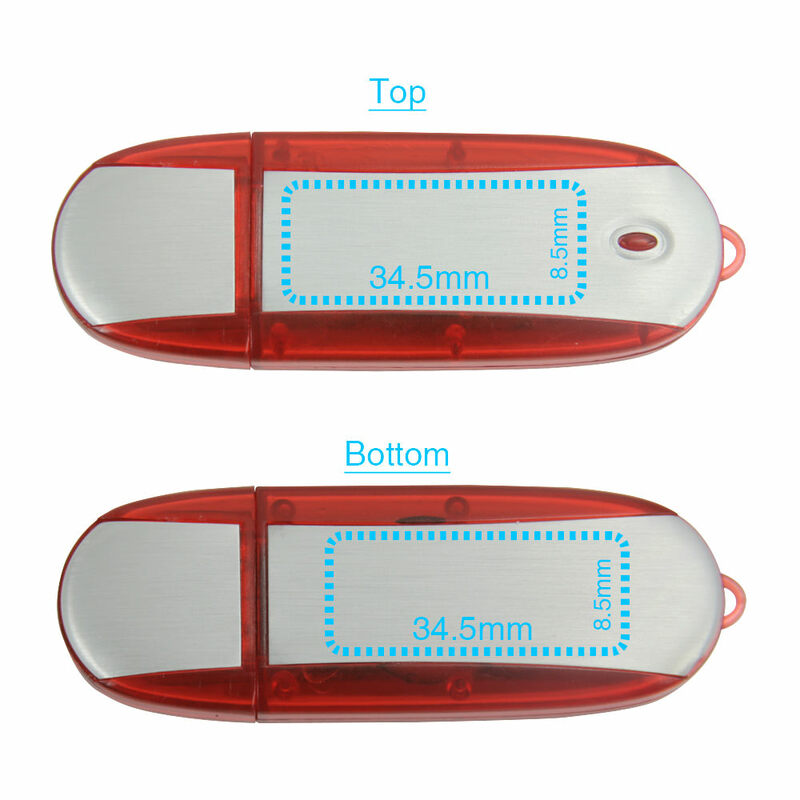 This promotional USB drive will harmonize your marketing numbers in no time flat. This promotional item has a lot going for it. 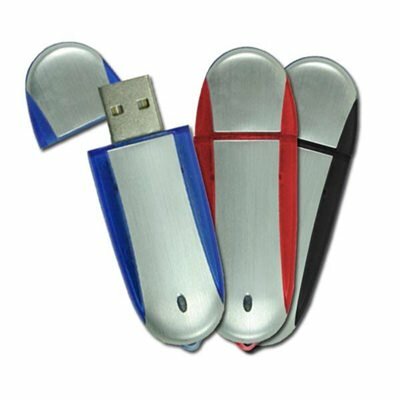 It has great in-hand feel and the classic memory stick shape makes its function instantly recognizable. It sports an ample print space on both top and bottom which you can have laser engraved or silkscreen printed, whichever suits your logo best. Its plastic body and aluminum surface provides the perfect combination of structure and modernity. It comes in several colors that give you the most options for matching with your message and brand colors. Turn Times: Standard in 7 Business Days.